Hello! Thanks for taking time out of your busy schedule to join us for this interview! [Arcane4]: No problem at all, thanks for contacting us. Could you tell us about your team who's hard at work developing Rynn's Adventure? [Arcane4]: "Sure, the core game development team at Arcane Four Studios is made up of three long time friends who met in high school while working on text-based games using Qbasic. Our team is currently geographically dispersed across Canada, which means that most of our development work takes place online using Google Hangouts. We are passionate lifelong gamers and are immensely excited to be releasing our first game on the various systems that we play every day ourselves! In terms of our primary jobs, Shawn is our game designer, Jon is our programmer, and Mike is our artist. All three of us love the role we have in making games, and have spent the majority of our lives honing the skills required for our jobs in one way or another." How long has Rynn's Adventure been in development? [Arcane4]: We have been working on Rynn's Adventure for about a year and a half (if you include time used for porting our game to various systems, and certification). The idea for Rynn's Adventure started in October of 2014, but major development work didn't start until 2015 and now we are already into 2016, boy does time fly when you are having fun! Rynn, the protagonist seems rather familiar, wasn't there an old story or mythology about Rynn the fox? What games inspired your team to develop Rynn's Adventure? [Arcane4]: We were inspired by the classic games that we grew up playing such as Mario, Metroid, Sonic, Mega Man, and many others. We have been huge Nintendo fans since the original NES days, and that is why we wanted to make a game that reminded us of those fond memories we had as kids, but with some modern twists of course. About how many levels will Rynn's Adventure possess? [Arcane4]: Rynn's Adventure follows the classic stage format that Mega Man fans will already be familiar with. After completing a brief tutorial the player will be presented with a stage select screen. From there they can choose which order to complete any of the eight unique environments and defeat the bosses causing trouble in each region. Doing this will unlock the path to the Dark Wizard’s castle where Rynn's parents are being held captive! Will the game feature any multiplayer elements? [Arcane4]: "We thought about doing multi-player but decided early on that we would leave features like that for future games, such as possible Rynn's Adventure sequels. 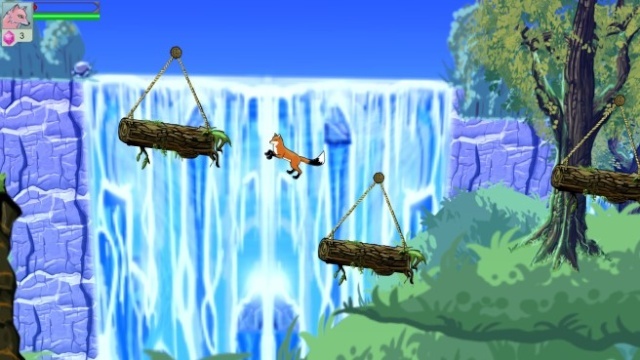 We are fans of multi-player capability in video games, but felt that Rynn's Adventure, like many games of its type, was more than capable of delivering a fun experience as a single player game." What kind of gameplay elements can we expect to encounter in the course of the game? We already know minecart stages and skiing stages are in based on the trailer! [Arcane4]: "We made it a priority with Rynn's Adventure to offer players a wide variety of unique environments and interesting mechanics so that each stage felt very different from each other. 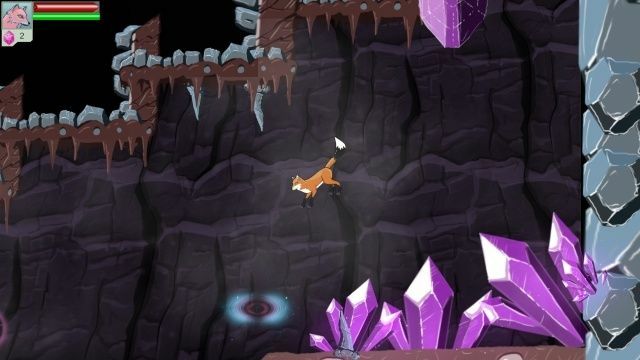 For example, one stage, "Danger Underfoot", takes place in a large cavern below the Enchanted Forest and focuses on reversing gravity back and forth in order to make progress and complete the stage. In addition, each stage has a big boss encounter at the end that requires the player to figure out the boss’s weak point in order to defeat them. Every boss’s weak point is different, and so the player will have to try more than simply jumping on the enemy’s head a few times." What makes Rynn's Adventure unique compared to other platforming titles? [Arcane4]: The platforming genre is such a deeply developed genre with so many big titles that it is difficult to be completely unique. However, we believe that the magic is not necessarily in being completely unique, but rather in how you piece things together in interesting and different ways. We hope that players will enjoy playing as Rynn the fox as she journeys through the Enchanted Forest, in a fairy tale styled adventure. 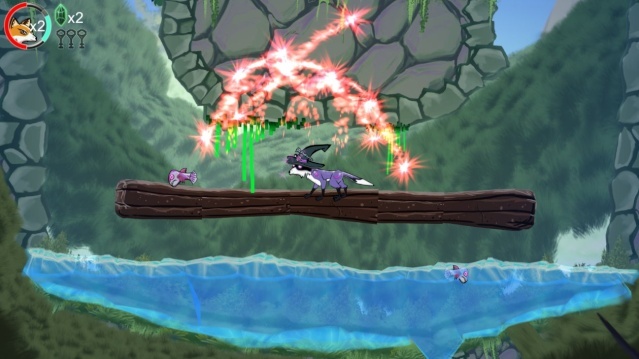 When can we expect Rynn's Adventure to hit the Wii U eShop in NA/EU? [Arcane4]: Very soon hopefully! We have already submitted our game to Nintendo and we are waiting for it to make it through the process on their end. This, of course, makes it hard for us to know exactly when it will be available. We will be sure to let you all know when you can expect Rynn's Adventure the moment we know ourselves. Thanks, for answering our questions! We really appreciate it, hopefully we'll have the opportunity to interview you again sometime! [Arcane4]: Thank you for this opportunity, we would be glad to talk with you again any time. What did you think of the interview and what are your thoughts regarding the upcoming Wii U eShop title Rynn's Adventure? As always, be sure to let us know in our comment section below! Re: Developer's Interview: Arcane 4 Studios Reveals All About Their Upcoming Wii U eShop Title Rynn's Adventure! I'll keep an eye on this game! It looks like activity is picking back up! Our latest articles are starting to get a bunch of comments. Great developer's interview as always @Ichigofan! Which developer are you going to interview next, I wonder?